It's hard to believe, isn't it? Books are still under attack, and face the threat of censorship. 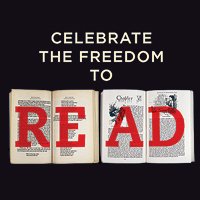 Luckily, Banned Books Week celebrates the freedom to read. 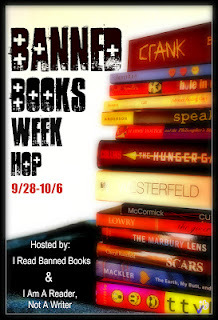 Come to my Banned Books Week blog post at http://catemasters.blogspot.com/2012/09/banned-books-week.html and share your opinion for a chance to win a $10 gift card to Amazon or Barnes and Noble. "Are you watching the news?" time a pilot for USAir, on his way somewhere. I never witnessed such silence, stillness in the air. "Mommy, when are we leaving? Can we go to the park?" You know the rest of the story. My friend's plane landed, and he returned safely home a few days later. And we all went back to work, a little more fearfully. I knew in my heart that day that my children's world would never be the same. They continued to play as they always did not noticing the changes around them, or understanding the evilness behind the event. And something sparked inside of me. It's not what people look like that defines a nation, it is how they live. 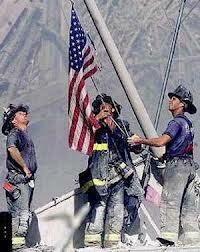 To honor 911, I am having a FREE Kindle giveaway today and tomorrow. You may read "The Yellow Stone," as well as eleven other short stories there. This is a great nation we live in, and will continue to be. Sometimes when you visit a certain place, its history confronts you on every street. Though it might be thriving today, the past is layered behind its present, inviting you to explore. That's what happened when I visited Key West. The bustling little island is a popular tourist spot, but several of the attractions captivated my imagination. All centered around the wreckers - men who salvaged the tall ships after they wrecked on the reefs surrounding the island. During a visit to a wrecker museum, a story flashed through my head. I had to know more. So I visited yet another museum, the historic home of a local wrecker captain. So fascinating, I bought a few books but still wanted more, so I spent the next two days in the library. It felt like finding hidden treasure when I found the old letters and documents stored there. Before I even left the island, I knew I had to write that story that flashed through my head. It took years, but the result was Angels, Sinners and Madmen, first published by Freya's Bower. By the time the rights reverted to me this summer, I'd already spent many more months revising the original story - strengthening the plot line and the heroine. Today begins its free run on Amazon, lasting from Sept. 7 through 9. I hope you'll pick up a copy of this novel, and learn more about the wreckers and their fascinating history through the eyes of wrecker Sam Langhorne and aspiring writer Livvie Collins.